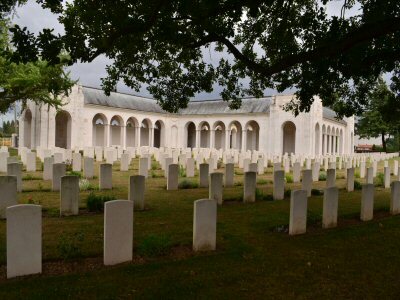 Le Touret Memorial & Cemetery, Pas de Calais. Serving Their Country - A Fine Family Record. Among the families who have representatives serving His Majesty few are doing more than the distinguished one to which Lieutenant Colonel G Stewart belongs. Colonel Stewart himself is now at the Omagh Barracks in Co Tyrone commanding the depot Royal Inniskilling Fusiliers in the reserve of officers he has the rank of Major. 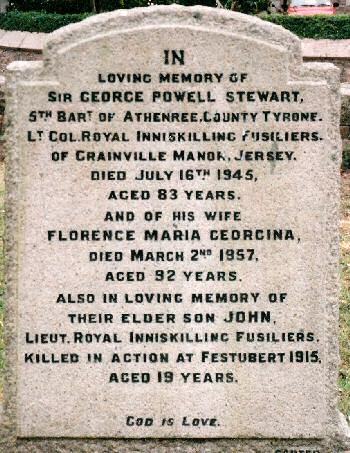 His son, 2nd Lieutenant John Houghton Stewart, has been for some time serving with the Expeditionary Force. He was for a time at Victoria College and afterwards at Bradfield College, from which he passed into the Royal Military College at Sandhurst in June 1913. Passing out he received his commission as Lieutenant in the 2nd Royal Inniskilling Fusiliers, his father's old regiment, in August 1914. Killed in action, aged 19 years. Old Victorians in the Casualty List. Two more Old Victorians figure in the Casualty Lists just issued, these are Engineer Hilgrove Hammond, killed in the loss of HMS Triumph, who was at the College from 1886-90 and Lieutenant J H Stewart of the Inniskilling Fusiliers who is wounded and missing. Lieutenant Stewart is a son of Colonel G B Stewart of Grainville Manor and news as to his fate will be awaited with particular anxiety. He was at the College from 1905-08. Roll of Honour. 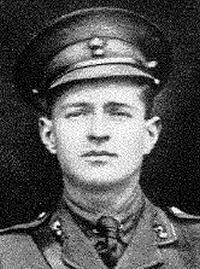 Lieutenant J H Stewart Makes the Supreme Sacrifice. We regret to announce that Lieutenant John Houghton Stewart of 2nd Royal Inniskilling Fusiliers has been killed in action. Our readers will remember that some time ago this popular young officer was reported missing but as time went on and nothing further was heard his friends began to fear the worst. His bible had been picked up, this having been recognised by a photo of his sister which was enclosed. The parents have now received intimation that their son made the supreme sacrifice at Richebourg on 16 May last. Lieutenant Stewart was only 19 years of age and was the eldest son of Lieutenant Colonel G P Stewart and Mrs Stewart of Grainville Manor, St Saviour. He was the grandson of the late Sir John Marcus Stewart Bart of Tyrone and the late Sir James Godfrey QADC of Grainville Manor. He was at Victoria College from 1905-08 where he made a large circle of friends who will regret to hear of his decease. Memorial services will be held at Carrick Moor, Tyrone and at St Saviours Church, Jersey on All Saints Day 1 November at 3pm. To the parents we beg to tender our sincere condolence in their bereavement. The Late Lieutenant J H Stewart - In Memoriam Service. With a simplicity and briefness which was most impressive an In Memoriam Service for the late Lieutenant John Houghton Stewart of the 2nd Inniskilling Fusiliers who was killed in action at Richebourg on 19 May, was held yesterday afternoon at St Saviours Church. As if in harmony with the sad occasion the climatic conditions were at their worst - torrential rain falling throughout the afternoon. The late Lieutenant Stewart was only 19 and was the eldest son of Lieutenant Colonel & Mrs G P Stewart of Grainville Manor; he was the grandson of the late Sir John Marcus Stewart Bart of Tyrone and of the late Sir James Godfray QADC of Grainville Manor. He was educated at Victoria College from 1905-08. Colonel Stewart now being in Ireland on active service a memorial service was held at the same time at Carrick Moor, Co Tyrone, this being attended by the family. The family pew at St Saviours Church was draped in black and the staff of Grainville Manor occupied seats close by. Despite the inclement weather a large congregation was present. The bell was tolled for some time before the service and before the choir and clergy entered the chancel the strains of Batistes Marche Funebre pealed out from the organ. After the opening sentences of the burial service had been recited by Rev F D Moat, who conducted owing to the illness of Canon Luce, the two burial songs were chanted by the choir. The usual lesson was read followed by the hymn "Brief Life Is Here Our Portion", the last prayers for the dead were then said and the hymn "Now the Labourer's Task is O'er" was impressively sung. The congregation then stood in silence whilst Mr Henry Luke, who accompanied throughout, played the Dead March by Handel, thus bringing a most impressive service to a conclusion.